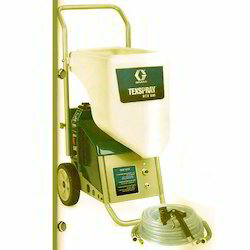 Leading Wholesaler of texspray rtx 650 airless spray painting machine, texture spray machine, texspray 900 airless sprayer, texspray mark x 240 volt, rac x switch tip and airless sprayer from Hyderabad. 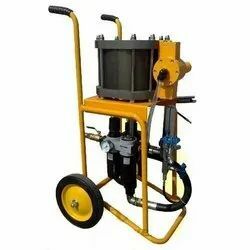 Backed by a qualified team, our company trades and supplies Texspray RTX 650 Airless Spray Painting Machine that is specifically designed to be used with air compressor. Owing to the fast operation, efficiency and less fatiguing spray rig, the proposed series is known to be one of the best pumping systems. Backed by a spacious warehouse, we are engaged in proffering Texture Spray(Tex Spray 1250) sprayers that come with high capacity hopper and bonded material hose. Made available in numerous specifications, these sturdily constructed machines are set up with dual-use gun. Portable and easy to use, the range is massively asked for. Easy-to-use air trigger adjustments on the gun. 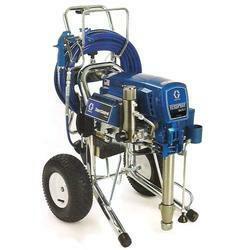 Being one of the celebrated names of the field, we engage in offering Texspray 900 Airless Sprayer. Easy to operate and reliable in performance, these sprayers are set up with high capacity on-board air compressor and ROTO flex II texture pump. Before the final send off, the range is tested for its perfection. 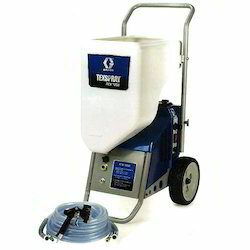 Being one of the renowned names of the field, we involve in proffering Texspray Mark X 240 Volt texture sprayer. Made available in different specifications, these sprayers are set up with submerged foot valve and maxpower brushless DC motor. Due to the excellent output range, this series is vastly desired. Our company is considered a noted trader and supplier of RAC X Switch Tip that is suitable for spraying at low-pressure conditions. Owing to the outstanding performance and longer functional life, these switch tips are extensively high in demands. Proffered reverse-A-clean switch tips are ideal for residential, commercial and industrial applications. We offer the selection at industry leading rates. 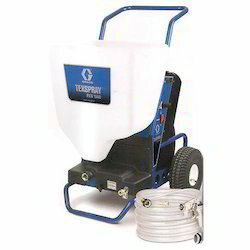 Backed by a qualified team, our company trades and supplies Texspray RTX 650 Airless Sprayer that is specifically designed to be used with air compressor. Owing to the fast operation, efficiency and less fatiguing spray rig, the proposed series is known to be one of the best pumping systems. We are considered a leading name in the field that brings forth Heavy Duty Trigger Gun that comes with bonded air and material hose. Offered selection features Roto Flex HD texture pump and automatic pressure unloader. We present the series in safe packaging to avoid damages. 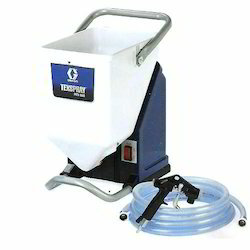 We are one of the leading traders and suppliers of Tex Spray Mark IV and Mark V Premium sprayers. Economical and timesaving, these efficient sprayers are appreciated for their high output and exceptional performance. 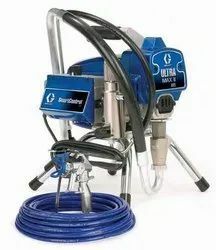 Offered series features endurance pump and pro connect pump removal system. 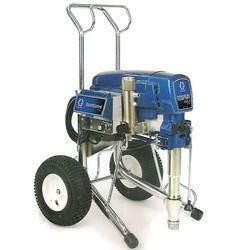 Looking for Airless Spray Painting Machine ?